Wikimedia Commons Migos' new album, "Culture II," is a worthy follow-up to their debut album, even if it sounds different than their usual style. Hip-hop trio Migos released its ambitious 24-song album, “Culture II,” Jan. 26. The follow-up to the group’s 2017 “Culture” features a prestigious list of names, including 21 Savage, Drake, Gucci Mane, Post Malone, Cardi B and Nicki Minaj. “Culture II” echoes “Culture” throughout the first half of the album. Just as they did in “Culture,” Quavo and Takeoff take over the choruses and verses as Offset randomly jumps in. 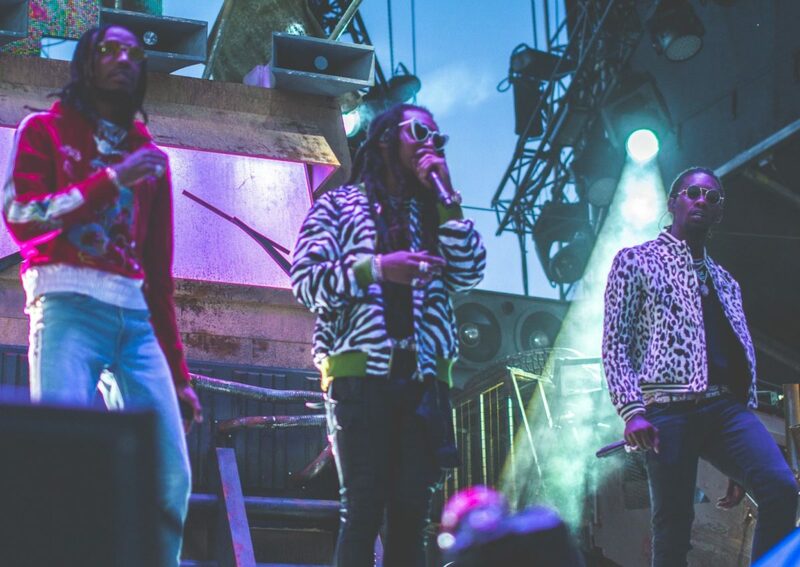 Quavo’s synthesized lyrics echo behind the beat with Offset’s sporadic interruptions and Takeoff’s effortless line flow. Migos remains true to its previous subject matter — the rappers wouldn’t be Migos if they didn’t rap about girls, money and fame. Migos collaborated with producer Metro Boomin, who produced Migos’ hit single “Bad and Boujee,” on the new song “Emoji a Chain.” While the material is consistent, the end of the song introduces a sound the trio hasn’t used before. It minimizes the thrills of a beat fans have become used to and adopts the silky strums of a guitar, showing the group isn’t afraid to explore uncharted territory. The 10th track on “Culture II,” “Gang Gang,” opens with a melodic hum of a female voice with a soft beat following, breaking away from Migos’ typical sharp rhythm. Throughout the track, Quavo’s and Takeoff’s voices blend together smoothly, but Offset’s usual input doesn’t find a place within the syruppy, synthesized verses. The final track of “Culture II” opens with a warble of piano, which is possibly the most shocking of the new sounds Migos has incorporated. In the first verse, Quavo raps, “Believe me when I say we create our own sound,” and listeners can’t help but believe him. The track closes with the sound of a beating heart, delicately ending an album that began differently than fans expected. “Culture II” sounds familiar throughout the first half, and Migos slowly explores uncharted territory as the album progresses. The trio delves into a smoother, softer side of themselves, while easily maintaining pieces of what has surely defined Migos’ career. Migos takes a risk with “Culture II.” It creates an effortless follow-up to “Culture,” while proving the group can do more than rap over a repetitive beat. “Culture II” is available to stream on Spotify, Amazon and Apple Music and can be purchased in stores and on iTunes.